Our Caregiving initiative is scheduled to launch mid-year in 2018, providing homecare for clients and families on a private pay care model with a sliding scale for clients and above-market compensation for aides. Spokesperson for the Ladies of Charity Caregiving, Inc., Marilyn Martone, reports, "Although we will only open one office at a time, our eventual goal is that when someone, anywhere in the United States, thinks of quality, compassionate, holistic, mission-driven homecare, they think of the Ladies of Charity." More Information can be found on the Ladies of Charity, USA website. The Ladies of Charity, founded 400 years ago by St. Vincent de Paul to care for those homebound by age or disability, is renewing its call to provide homecare through the launching of Ladies of Charity Caregiving, Inc., in Pittsburgh, Pennsylvania. Since its founding, Associations of Ladies have spread throughout the world and have provided care to those who are vulnerable, recognizing in its mission that we are all connected and that our gifts have been given to us to share with those in need. “Launching the pilot in Pittsburgh makes sense as it represents the largest organization of the Ladies of Charity in the US, with more than 1,500 volunteers serving in the diocese,” said Josiah Mooney, who has been hired as Consultant to launch this initiative. Peggy Keene and Judy Weismann, both members of the Ladies of Charity in Pittsburgh, have seen the Ladies’ presence and numbers increase in the last several years and were instrumental in taking on the commitment to serve as the pilot site. “Caring for the elderly of our parishes and communities has been a benchmark tradition of the Ladies of Charity of the Diocese of Pittsburgh. We are honored to have been chosen as the site for the launching of The Ladies of Charity Caregiving, Inc.,” said Peggy Keene. 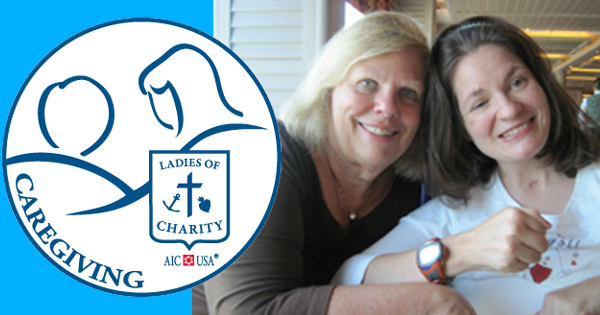 The Ladies of Charity USA seek to make fundamental differences in peoples’ lives. Through our Ladies of Charity Caregiving project we will train caregivers, pay competitive wages, and deliver capable compassionate care to the most vulnerable among us.